The last couple of weeks have been a tad on the bonkers side. There were several really long days and one super late night at the office, the morning after which I dragged my tired self out of bed and gave myself a pat on the back for having pre-packed my lunches for the week (hello, humblebrag). I know I keep harping on about this, but for real, I don’t know how I’d be feeding myself right now if I didn’t spend those hours on the weekend prepping for the week. When I think back to this time three years ago when I was in the final stages of my last degree, I remember really missing this. Paul had already moved to Sweden and I was living with my Mom in Vancouver (and my dad was living in a tent trailer on the coast building their new house – it was kind of an intense time for all of us, in retrospect), and while my Mom definitely took top notch care of me, I remember struggling without the routine I was used to. Right now feels a little like organize or die. Which is realistically more like, organize or eat crackers for dinner. And lunch. And maybe breakfast. Our weekly food routine helps a lot, as does packing my breakfasts (I eat breakfast at the office) and lunches in advance, and since unlike Paul I switch up my breakfasts and lunches a bit each week, the advance planning I do by writing it all out really helps with that. 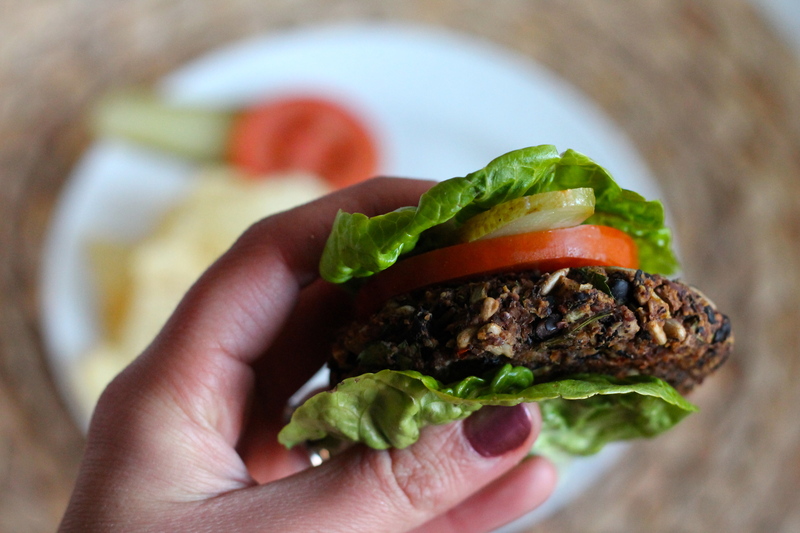 One of my biggest allies in meal prep is my freezer, and one of my favourite things to have on hand in the freezer is a good veggie burger patty. 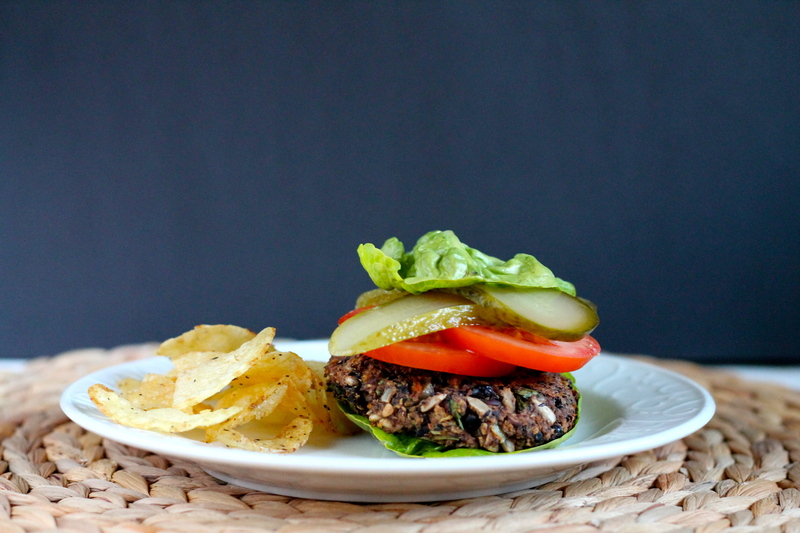 A really good veggie burger patty has been an elusive thing to me for a long time, but these chipotle black bean burgers are something else. I find most veggie burgers are either packed with breadcrumbs or cheese, and this recipe uses neither. They’re vegan, easily gluten free, and because they’re not super bready, I’m equally comfortable sandwiching these between a toasted whole-wheat bun, a couple of lettuce leaves, or going altogether bun-less and crumbling them into a salad or a wrap. And, they’re jam packed with flavour. These burgers are a bit of work, but the recipe makes a lot and they freeze well. I’ve made a batch every other week for the past few weeks, and find them invaluable for quick and easy or grab and go meals. I’d categorize these as a bit of a weekend project, but one you definitely won’t regret. Black beans are a good source of folate, dietary fiber, protein, phosphorus, iron, copper, magnesium, manganese, potassium and vitamin K. The protein-fiber combination in black beans is one of the things that makes them special. A one cup serving contains 15g of fiber (over half of the daily recommended intake), and 15g of protein. Much of the fiber is indigestible, which supports digestive health, particularly in the lower part of our digestive tract. The protein-fiber combination is also key in stabilizing blood sugar levels, as both protein and fiber move through our digestive systems at a moderate pace. Black beans are also rich in soluble fiber, which is helpful for lowering blood cholesterol levels and supporting cardiovascular health. You know what they say, beans beans good for the heart… but if the second part of that rhyme concerns you, be sure to discard the soaking water when cooking dried beans. You’ll be tossing out a good amount of flatulence causing compounds, as well as some of the phytates and tannins that lower nutrient availability. Preheat your oven to 350°F / 180°C. Line a large baking sheet with parchment paper or a silpat, and brush with olive oil. Set aside. Combine the ground flax and 1/3 cup water in a small bowl. Set aside for about 10 min while it firms up into a gel. 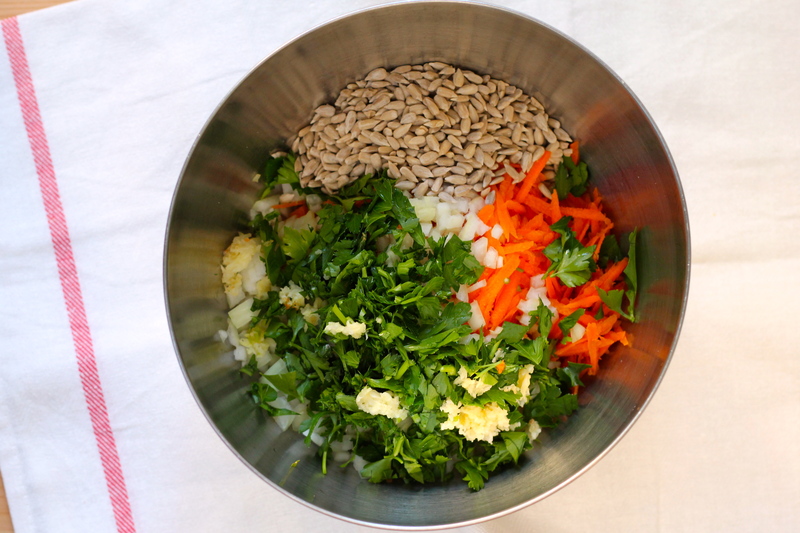 Place the oats in the bowl of a food processor and process into a flour. Remove the oat flour and place into a large bowl. Now put 2 cups of the black beans into the food processor, together with the chipotle peppers. 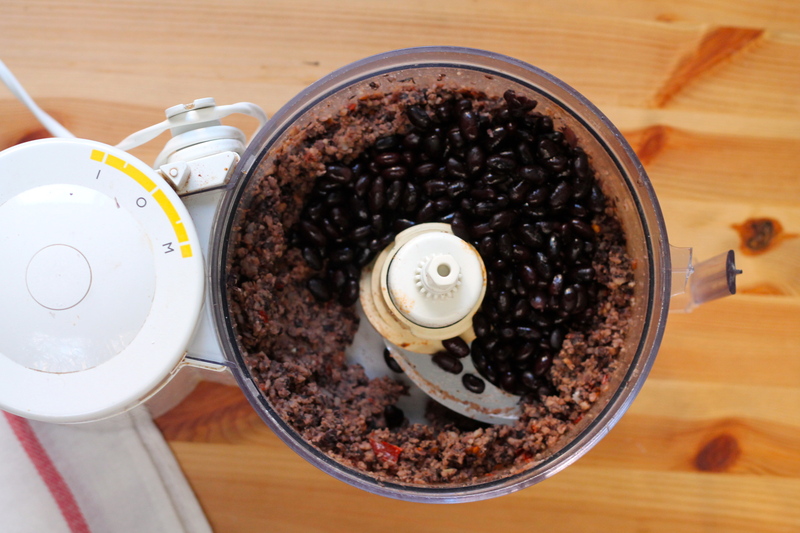 Pulse a few times, then run the food processor until they are well combined and the beans have a bit of a paste-like consistency. Add the remaining 1 cup of black beans, and pulse a few times to combine. You want the beans to be a bit broken up, but still have some texture to them. Scrape the bean / chipotle mixture into the large bowl with the oat flour, and then add all remaining ingredients together with the gelled flax seed mixture. Use a wooden spoon or your clean hands to mix everything together until well combined. Using your hands, form the mixture into 12 patties - wet hands help make this easier. 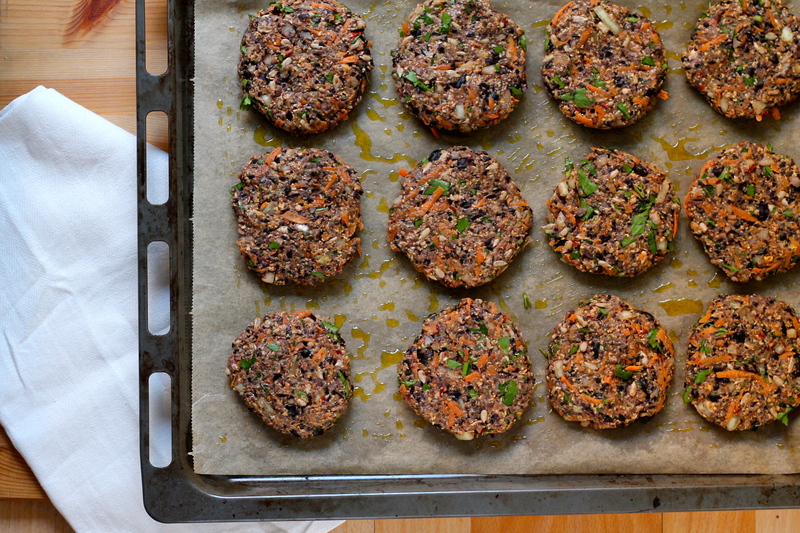 Place the patties onto the prepared baking sheet, and brush the tops with a bit of olive oil. Bake for 15 minutes, then remove the tray from the oven and very carefully turn the patties over. Bake for an additional 15 - 20minutes, until they are nicely browned. Remove from the oven and enjoy them hot! If you want to grill the patties, reduce the 2nd baking time to 10 minutes, and then finish the patties on the grill. You can also reheat cold or thawed patties on the grill. If you want to freeze the patties, cool them on a wire rack before placing them into a freezer storage bag. You can make a stack and separate the burgers with squares of parchment paper, or you can freeze them in a single layer so they don't stick together. 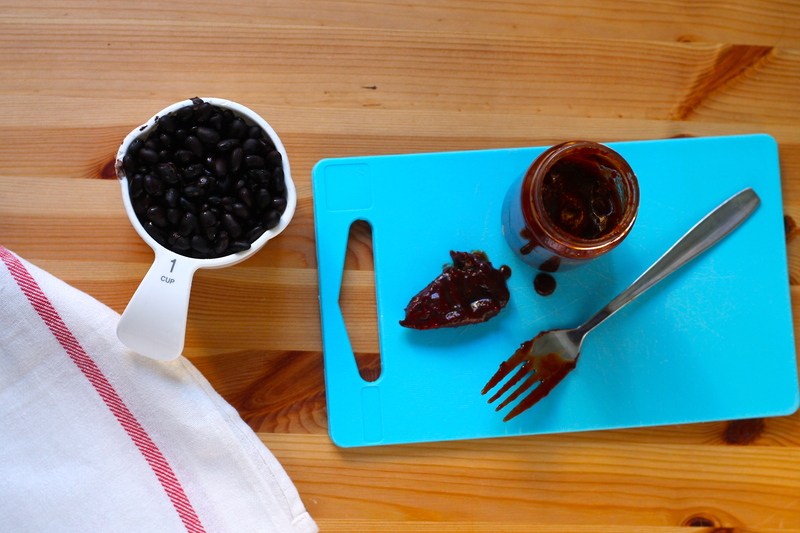 Chipotle and black bean really is a perfect match, isn’t it? Reblogged this on wimmer health coaching. Chipotle and black beans are such a match made in heaven! 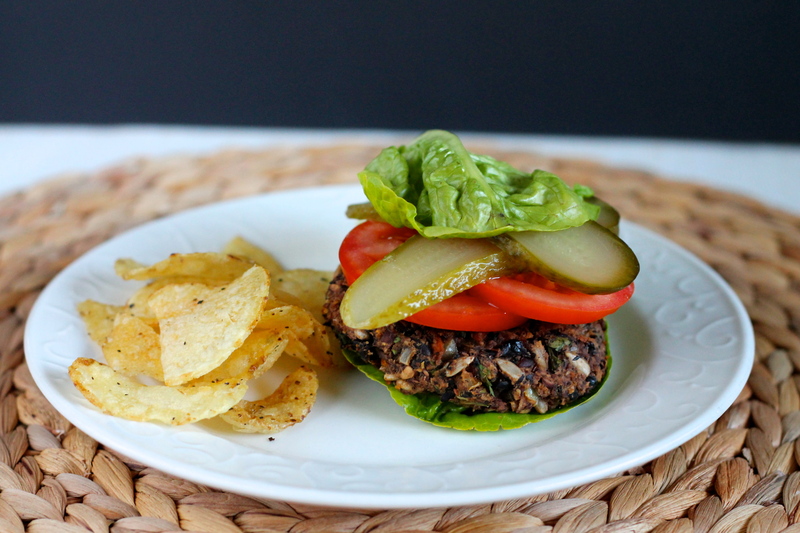 I love a good veggie burger and the flavours and texture of these ones looks absolutely perfect. Such a good thing to have on hand too for those days when life just seems too busy to think about eating. Can you freeze the veggie Berger’s first before you cook them? You know, I’ve never tried that so I have no idea how they’d turn out if you did. My sense is that they may fall apart when thawing so I’d personally hesitate to go that route, but don’t let that stop you from trying. And if you do, please let us know how they turn out!